SiteWorks was founded in 2005 in response to the increasing divergence in the building industry between the focus of design, construction and facility professionals. The revitalization and densification of outdoor urbanized spaces has become more costly, complex and environmentally challenging in recent years. 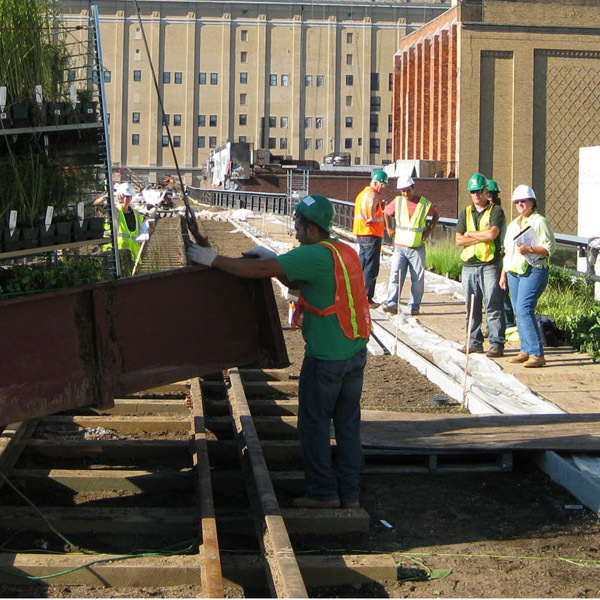 SiteWorks was created specifically to help project teams identify and act upon critical design, construction and long-term operational strategies that lead to truly holistic, high performance landscape solutions. We have purposefully assembled an office team of like-minded professionals with diverse experiences as licensed landscape architects, certified arborists, LEED certified professionals, ecologists, construction managers and operations strategists. SiteWorks is a certified New York City, New York State and New Jersey State Women Owned Business Enterprise (WBE) and a certified New York and New Jersey Disadvantaged Business Enterprise (DBE) and Small Business Enterprise (SBE).